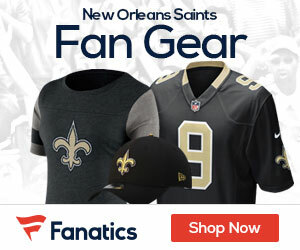 The Saints have hired a firm run by former FBI director Louis J. Freeh to investigate allegations that the team’s general manager, Mickey Loomis, had an electronic device in his Superdome booth that enabled him to eavesdrop on opposing coaches during games, according to sources familiar with the internal probe, John Barr of ESPN reports. As early as May 15, according to sources, investigators with Freeh Group International Solutions were in the New Orleans area interviewing people, some of whom have also been interviewed by FBI agents working on a separate investigation run by the U.S. Attorney’s Office. A spokesperson for Freeh’s company did not respond to a request for comment Friday morning, and neither did the Saints. But team spokesman Greg Bensel confirmed Freeh’s involvement to profootballtalk.com Friday morning. “Serious allegations have been made about our organization this offseason; we take these allegations very seriously,” Bensel said via email, according to profootballtalk.com. “As a result, we have hired the Freeh Group, founded by former director of the FBI and former federal judge Louis Freeh. Mr. Benson (Saints owner Tom Benson) moved quickly to hire them and has spared no expense to get to the bottom of these allegations.